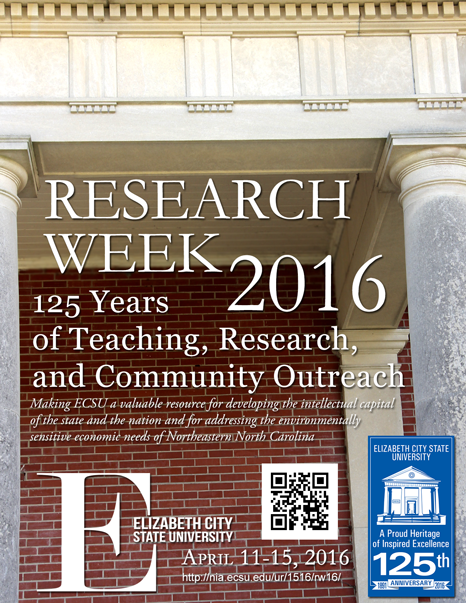 Welcome to ECSU Research Week 2016 at Elizabeth City State University!! The program for the week can be viewed here in PDF format (PDF). Follow us on Twitter at https://twitter.com/ECSU_RW or use #ECSURW16 to show us what you are seeing! !